Potomac delivered countless clutch hits on Monday night, gathering all five of their runs with two outs to defeat the Salem Sox 5-2. Caleb Ramsey led the Nationals with three hits and two RBI in a game he did not even start. After Billy Burns was hit by a pitch in the top of the first, Ramsey pinch-ran and wreaked havoc the rest of the evening. Both lefthanded starters pitched well, but Matt Purke won and Mickey Pena loss as a result of Potomac’s two-out success. With the game scoreless into the third, Ramsey picked up his first hit with two outs and the bases empty, setting the table for Adrian Sanchez’ RBI double that put the Nats ahead 1-0. Similarly, there were two outs and the bases empty in the fifth when Francisco Soriano walked. Ramsey smashed a triple into the left-center field gap to bring home Soriano and make it 2-0. A wild pitch allowed Ramsey to scurry home and the Nats led 3-0. Purke held the Sox scoreless through five, but Salem cracked his armor in the sixth. Henry Ramos led off with a double, and two batters later, Keury De La Cruz singled Ramos to third. 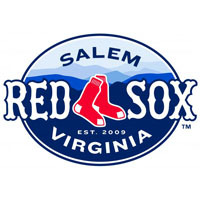 Stefan Welch pounded an RBI single to bring home the first Red Sox run, and with men at the corners, Salem put the pressure on Potomac with some baserunning. Welch took off for second, and on the throw De La Cruz broke home. Welch was safe and the return throw to the plate went off Adrian Nieto’s glove, allowing De La Cruz to score. Although it was scored as an error on Nieto, the Sox had inched within a run at 3-2. Unfortunately, Salem stranded Welch in scoring position, and the Sox never again put a runner past first base over the final few innings. Conversely, the Nationals added a pair of insurance runs in the eighth and ninth innings to pull away. Purke permitted two runs on five hits in five and a third to earn his first win, improving to 1-3. Pena went six innings and surrendered just three runs, but suffered the setback, falling to 4-6. With two scoreless, Rafael Martin picked up his first save. The Sox will look to avoid being swept on Tuesday in the series finale. William Cuevas gets the ball for Salem opposite Potomac’s Paul Demny. First pitch is scheduled for 7:05.